Gmail, Google's online email service, is my favorite online app bar none. Before Gmail, email took up a huge chunk of my hard drive, I had to delete old messages to save space, I could only access my old email from one computer, I was deluged with spam, and finding old emails was incredibly difficult. Not anymore. If you're still using Yahoo, Hotmail, or some locally-stored email program like Outlook, I promise you are making life harder than it has to be. If you need convincing, email me. I'd be happy to serve as a Gmail evangelist. 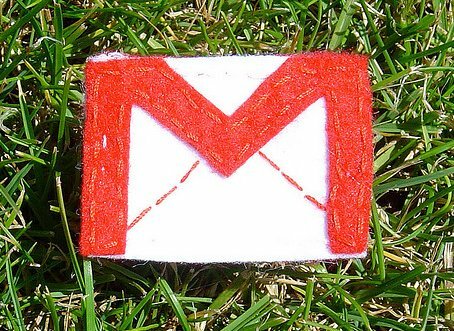 Over the years I've collected quite a few tricks to help make Gmail work even better for me. I thought I'd share them here. 1. Stop using labels and start using search. For the first year or so after switching to Gmail I meticulously labeled my email just like I had organized it in folders in Outlook Express. Then one day I realized the only reason I label/file email is to help me find it later, and Gmail's search function is a much more powerful way of finding email than searching through labels. Using the "to:" and "from:" search operators I can find anything. If I need to know the details about the Halloween party my friend Adam sent me, I just search "to:me from:adam halloween" and it pops right up. Here is a full list of Gmail search operators for even more advanced searching. Since my realization I have trashed all my labels except for a few I use for very specific purposes. For instance, it's pretty common these days for folks to email out their new mailing address when they move. I've made a label called "address-book" just for these emails. Now when I need someone's mailing address, I just go to Gmail and search for their name plus "label:address-book." I also have a label called "to-consider" for emails I want to read in-depth later. Whenever I have some free time and I feel like doing some reading, I do a quick "label:to-consider" search and I'm ready to go. 2. Create some creative filters. Here's some instructions on creating filters. Filters can help you organize email automatically as well as keep unwanted email out of your inbox. It seems everyone has at least one distant family member (we'll call her "Aunt Glenda") who loves to forward annoying chain emails. A great way to avoid these without confrontation is to create a filter that automatically archives email from Aunt Glenda with the subject "FWD:", skipping the inbox. This way you still get Glenda's personal emails to you, but you miss the chains. A lot of people use Gmail for quick-and-easy online storage by attaching something they want online to an email and sending it to themselves. I do this too, so I have a filter which automatically archives and "marks as read" all email that is from me, to me. When I need it again, I just do a "from:me to:me" search. 3. Create some new email addresses for yourself using the + sign! Little-known Gmail fact: you can insert "+anything" before the @ symbol in your Gmail address and email sent to this address will go to you. In other words, if your Gmail address is john@gmail.com, then email sent to john+doe@gmail.com, john+table@gmail.com, and john+monkey@gmail.com will all come to you. What's more, you can create filters that redirect email coming to these addresses. So let's say you're signing up for a newsletter for people who like cars. You give them the email address yourname+cars@gmail.com, then set up a filter in Gmail so that all email sent to yourname+cars@gmail.com is labeled "Cars Newsletter." If one day you decide you don't want this newsletter anymore, or they sell your email address to a spammer, you can just change your filter to delete all email coming to this address. Oh and by the way, Gmail completely ignores periods in your email address. Email sent to yourname@gmail.com and y.o.u.r.n.a.m.e@gmail.com all goes to you. Forgotten Attachment Detector -- This feature automatically detects when you might have forgotten to attach something to an email and lets you know when you click "Send." It's saved me a significant amount of embarrassment. Send & Archive -- Most of the time, when I reply to an email, the next thing I do is archive the conversation to clean out my inbox. This feature adds a button to do this all in one click! Undo Send -- This feature gives you 5 seconds to click "Undo" after you click "Send." Another real face-saver. 5. Stop using the delete button. Remember that with Gmail's huge, ever-increasing storage space (I started with 1 GB and I currently have 7.4) there's really no need to ever use the delete button. Just archive everything! You never know when you might need a message later, and Gmail's powerful search is always there to help you find it. Email messages take up very little space and digital storage is only going to get cheaper in the future. Do you get paid by google? You should. How awesome that would be. This is so cool. I love your tips! Do you give lessons? Will you do them on site? How far will you travel for personal training? How do I retrieve all those lovely archived things? S I HATE how it stacks my emails. They get lost and search doesn't help. I'd like an appt on NOvember 29 please. In the meantime, you retrieve archived things by clicking on "All Mail" or one of your labels on the left, or by using search. ps. I still label. I still find it helpful. ps. Do you label because it's helpful, or because you love to organize? Just kidding, to each her own. Haha! Both! (I'm an organization junkie when it comes to stuff like that.) I try to only keep my inbox to 50 messages. I know I could use stars and stuff but if it gets to full I don't know what messages I need to respond to, etc. I think labeling helps because sometimes I search for things and I can't find it because I can't remember the right phrase to search for. And, it allows me to see everything under of one "label" if I want to. Powerful search feature? If you don't type exactly as it appears in the original message you will get no answers from the "powerful search feature". Is there any way to stop automatically saving draft of email message? It invariably deletes all or part of the message in the process of saving and the saving occurs over and over. There is no way to turn of the draft autosave feature. I'm not sure what you mean by having parts of your message deleted. If you want to get back text you deleted prior to an autosave, you can use the Undo feature in your browser (ctrl+z for windows and apple+z for mac) while you're composing your draft. until you send it. Alternately you can find it under All Mail. I've created "To_do" label to mark messages that need my further attention. Because then each gets the emails of the other. They don't. If joeschmo@gmail.com is registered, no one else will be able to register joe.shcmo@gmail.com, or any other combination using periods.